55% of people watch videos online every day. That translates to roughly 100 million prospective customers moving in and out of sales channels. Each of these customers spent at least 16 minutes watching video ads in a way that’s unmatched by other means of marketing. By 2020, this number will climb to a point where any non online video advertising will feel as antiquated as print. What is a business to do with this influx of information? Take some time today and browse the infographic posted below. 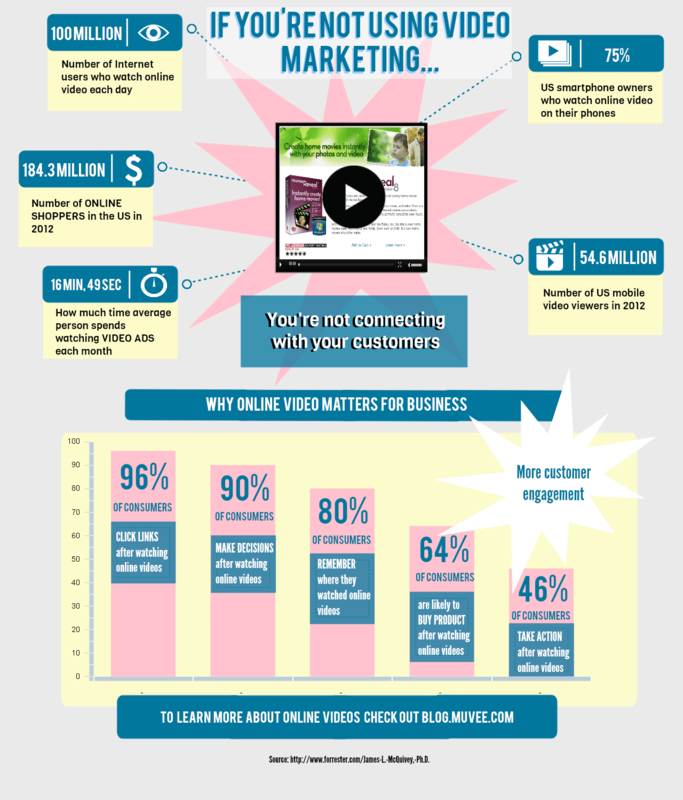 Muvee creates several of these introductions to Online Video, but this one felt far more important to marketing needs. The customers are online and it’s up to business to put the best products in front of them. For the readers that enjoy this post, Autodemo is planning some more related posts over the next few days. Keep reading and stay informed.